A provision of state law that enables Nebraska municipalities to develop undeveloped vacant land would be eliminated under a bill considered by the Urban Affairs Committee Jan. 30. 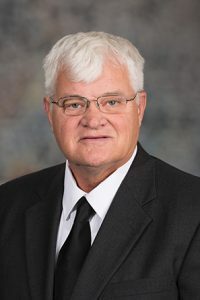 LB967, introduced by North Platte Sen. Mike Groene, would remove a provision of community development law allowing undeveloped vacant land within a three-mile radius of the city limits to be acquired for redevelopment when it is not located in an area deemed blighted or substandard. Groene said tax-increment financing is being abused and misinterpreted to allow its use beyond the law’s original intent. TIF was intended as a tool for urban renewal, he said, yet communities use the law to add land to a redevelopment project through annexation. “It’s really frustrating as somebody who represents citizens and taxpayers that we’ve gone back to Medieval times, where we have these powerful city-states who confiscate the property tax base of our schools, our counties and everybody else outside their little community for their purposes,” Groene said. 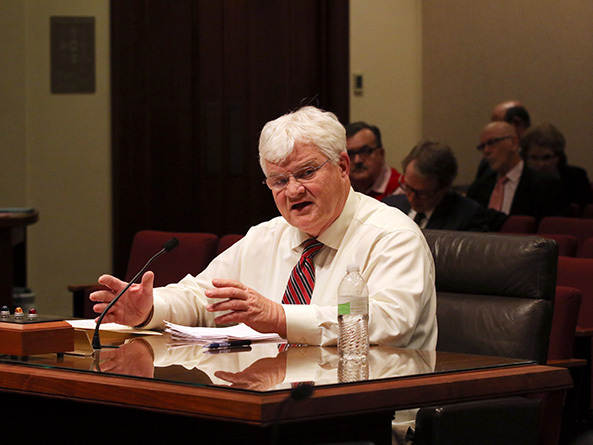 Larry Dix, testifying on behalf of the Nebraska Association of County Officials, spoke in support of the bill. Taxpayers are angry about the perceived erosion of the property tax base in their counties, he said, and are expressing those complaints in valuation protest hearings. Ervin Portis, Plattsmouth city administrator, testified in opposition to the bill. The city has designated 18 percent of Plattsmouth as substandard and blighted, he said, of the 35 percent allowed by law. Some of those areas currently contain TIF projects, he said, and the term “urban renewal” could apply to projects at the very edge of a small community, including vacant land. Mike Jacobson, representing the North Platte Area Chamber of Commerce and the North Platte Community Redevelopment Authority, also opposed LB967. North Platte could not have brought the Walmart food distribution center to the city without TIF, he said. North Platte was able to annex “raw land” at the edge of the city, blight it and develop it, Jacobson said, in order to add hundreds of thousands of dollars in new property tax revenue. In addition, he said, the TIF bonds for Walmart and a nearby Menards have been paid in full and both projects have brought new jobs, sales tax and other economic benefits to North Platte. “If we have a better tool than TIF, I’d like to hear it,” Jacobson said.